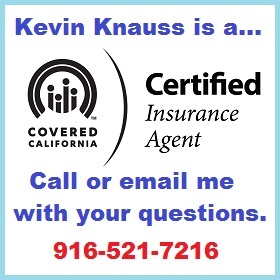 Posts related to health and life insurance in California, Covered California, rates, subsidies, short term medical and travel plans. If the carriers feel threatened by the HCSM plans, they should lobby the legislature to ban those plans as well. Don’t use health insurance agents, under the guise of retribution from Covered California, to achieve the objective of limiting the enrollment in these plans. I completely get that if all the healthy people leave the pool, the carriers are going to have problems paying claims, and may exit the market altogether. We don’t want this to happen. But I’m just the agent. Don’t shoot me to protect your business model. The value of dental insurance is questionable in the minds of many consumers. And I don’t necessarily disagree with that evaluation. However, the importance of regular dental exams, cleanings, and hygiene cannot be disputed. If dental insurance keeps a person on track with good dental hygiene and habits, they will be spared the expense of expensive dental procedures in the future. The single payer proposals I have read deal mainly with the consumer side regarding access to care and reduced patient costs. What seems to be missing is recognition that medical groups and hospital have built their budgets around the existing health insurance plan reimbursement rates. There is no mechanism in the single payer proposals to limit the costs such as the cost of labor (nurses) which is a significant financial element for hospitals. Until we get a handle on the cost of health care, health insurance rates will continue to rise and a viable single payer proposal, where you have more than one or two hospitals participating, will only be a dream. You can’t assume that all hospitals part of a larger network are all in-network with the same carrier if one is in-network. In Butte County, Blue Shield contracts with all the Enloe associated hospitals. But Anthem Blue Cross only contacts with Enloe Medical Center – Esplanade. The converse is also true. Blue Cross doesn’t typically contract with Sutter hospitals for their individual and family plans. 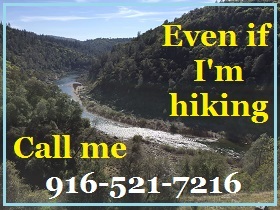 However, in Amador County, Sutter Amador is an in-network hospital for Blue Cross. If a consumer does not like their plan or rate, they must make changes to their account and actively renew their coverage by December 15th for a plan effective date of January 1, 2019. Changes to the account and plan selection between December 16th and January 15th will have an effective date of February 1, 2019. Prop 8: Are There Problems With Dialysis Treatment, Billing, And Profits? 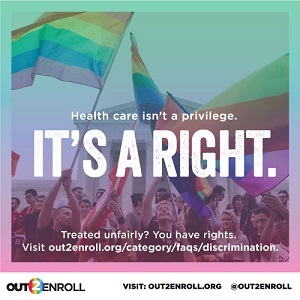 The goals of Prop 8 sound good: better patient care and lower costs. Basic economic theory suggests that artificially regulating prices lower leads to shortages. We cannot force the current dialysis clinics to become nonprofit organizations. Just like large retailers close under-performing brick and mortar stores, I would expect no less from the CEO of a dialysis company to close those locations whose primary insurance payer were on the lower end of the reimbursement scale such as Medi-Cal or Medicare. By paying for prescription drugs out-of-pocket, and not having them accumulate toward the maximum out-of-pocket amount for the health plan member helps the insurance company, not the consumer. Not having the drug costs go through the health plan could cost the consumer thousands of extra dollars in health care expenses because they did not meet their maximum out-of-pocket amount for the year. Kaiser Permanente has seen their market share increase with the Affordable Care Act. Their percentage of Covered California enrollments has steadily increased from 24% in 2015 to 33% in 2018.They have also been very stable in their plan offerings on and off exchange. Kaiser rates increased 3% – 7% in Northern California and 6% – 10% in Southern California in 2018. In 2019, the average rate increase will be 9% throughout California.